New Delhi: Days after the Bulandshahr violence that led to the killing of two, including one policeman, Uttar Pradesh Chief Minister Yogi Adityanath met Prime Minister Narendra Modi at his official home in New Delhi on Thursday. Even though what transpired between them was not officially communicated, sources in the Bharatiya Janata Party (BJP) said the Chief Minister invited PM Modi for the “Ardh-Kumbh” to be held in Allahabad next month. Sources also said that CM Yogi briefed PM Modi about the recent violence in Bulandshahr in which Police Inspector Subodh Kumar Singh was killed by a mob. Earlier yesterday, family members of the killed policeman met the CM Yogi in Lucknow. Yogi Adityanath announced a compensation of Rs. 50 lakh to the family and assured them justice in the case. 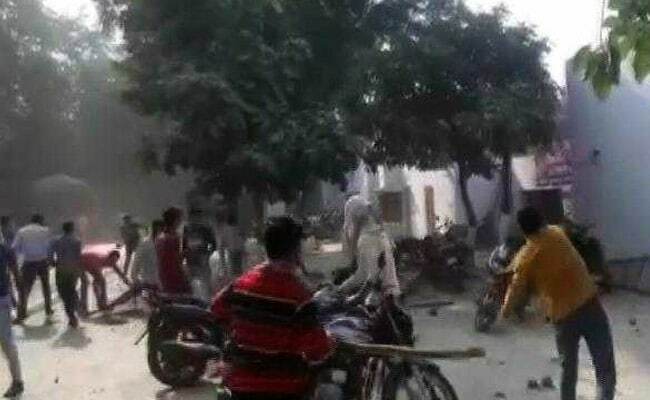 Yogi Adityanath has promised education loans and a government job to one of the family members of the Bulandshahr violence victim.